Marc Broussard got started selling and installing gas log sets in 1999 with "The Grill Store and More", a local retail store in Baton Rouge, LA. 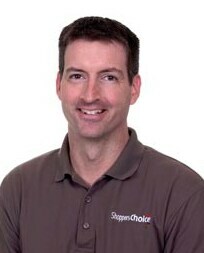 In 2004, The Grill Store and More evolved into Shopperschoice.com and Marc has steadily grown with the company ever since. Having personally installed over a thousand gas logs sets, he has gained the invaluable experience that a brochure or training seminar just can't teach. However, he's read the brochures and been to the seminars too! Marc was the online sales and customer service manager for Shopperschoice.com for five years. Through the GasLogGuys.com site, thousands of log sets have been purchased. Overseeing these sales and shipments, Marc became familiar with the trends, local install codes, and troubleshooting all over the country. With his extensive history in installation, sales, and technical support, Marc has authored numerous articles to help make your gas log buying experience as simple as possible. Why Buy Premium Gas Logs? Before buying the most convenient, the most affordable or someone's "top pick" gas log set, consider these key features to ensure you get not just any gas log set, but a premium gas log set. With over a decade of gas log experience, our certified professionals are uniquely qualified to assist you in choosing the perfect gas logs for your home. Our gas logs experts have created this buying guide to simplify the process of shopping online for gas logs. For over 50 years, Peterson Real-Fyre Gas Logs have manufactured premium quality gas logs that create a natural wood-like fire with maximum ease, efficiency and economy. Our Gas Log Learning Center is full of informational articles, how-to videos, and helpful resources. Browse our gas log information hub for information and facts on buying, sizing and measuring gas logs and fireplace accessories. Learn how you can choose how you want to light your gas log set. Decide on the method that best adapts to your lifestyle. Find the answers to the most frequently asked questions regarding gas logs! We offer answers to many of the common gas log related questions we receive. If you have more questions, feel free to give us a call! When shopping for gas logs, measuring your fireplace is the most important step. The dimensions of your fireplace will help you determine the best size gas logs and ignition option for your fireplace. Gas logs should be installed by a qualified professional. We strongly recommend you hire a HVAC installer or licensed plumber. Here's some tips for making sure your installation is trouble free. We have the facts on Vented vs. Vent-Free gas logs. Learn the difference between vented and vent-free gas logs and which type is right for you. Learn the advantages gas logs offer vs. traditional wood-burning fireplaces. In order to provide increased safety to customers, companies submit their designs to independent testing agencies such as UL (Underwriters Laboratories) and CSA (Canadian Standard Association). These labs test products to standards set by the ANSI (American National Standards Institute). ANSI determines safety standards for products worldwide. Learn more about certifications here. When it comes to Natural Gas vs. Propane Gas Logs, we know our stuff. Find out how are these logs are different and which type would be best for you. Don't rely solely on what your local store has in stock. Let us help you find the gas log set of your dreams! We have hand picked our most popular Gas Log Sets based on look and feel, price, availability and diversity. Vent-Free Gas logs are a popular alternative to traditional vented sets. Find out which of our ventless gas log sets are the most popular based on look and feel, price, availability and diversity. Let us show you how to make your fireplace feel real and look great. Beef up your gas logs with all new gas log accessories including glass, glowing embers and much more. These accessories are the most popular ones customers select when purchasing gas logs. Discover how an electric fireplace can be an ideal source of supplemental heat for you home. Learn about the various types of electric fireplaces. Wall mount fireplaces are attractive addition that can be installed in nearly any room of your home, office, apartment or condo. There's no need for venting ducts, gas line hookups or a chimney. Learn how to correctly install a wall mount fireplace. Follow Marc Broussard on Google+!